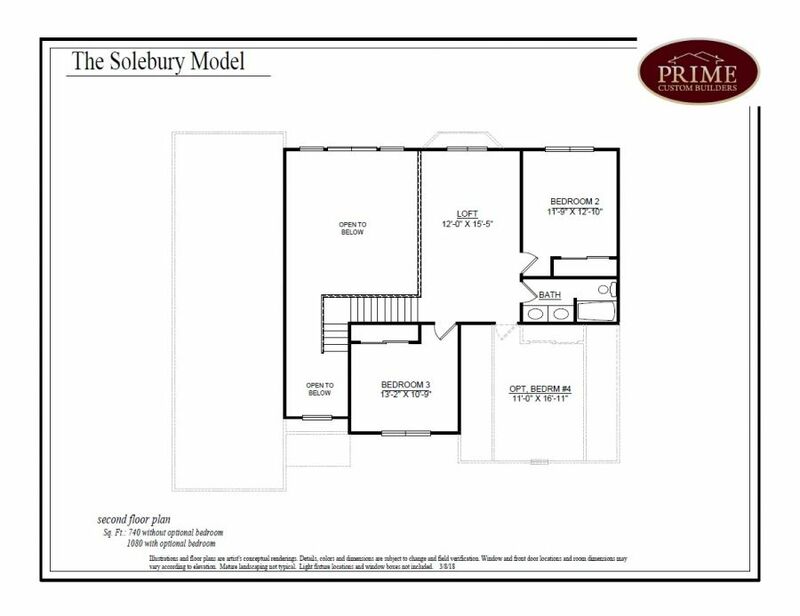 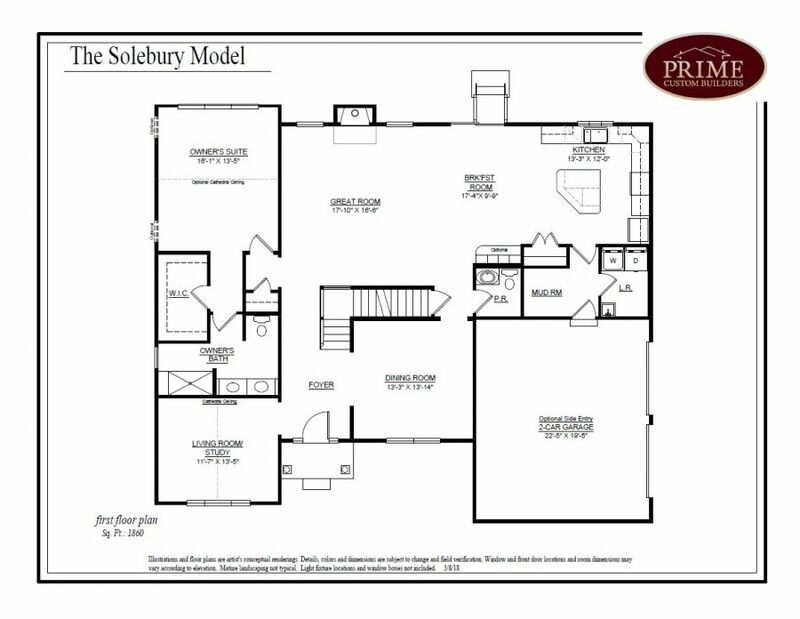 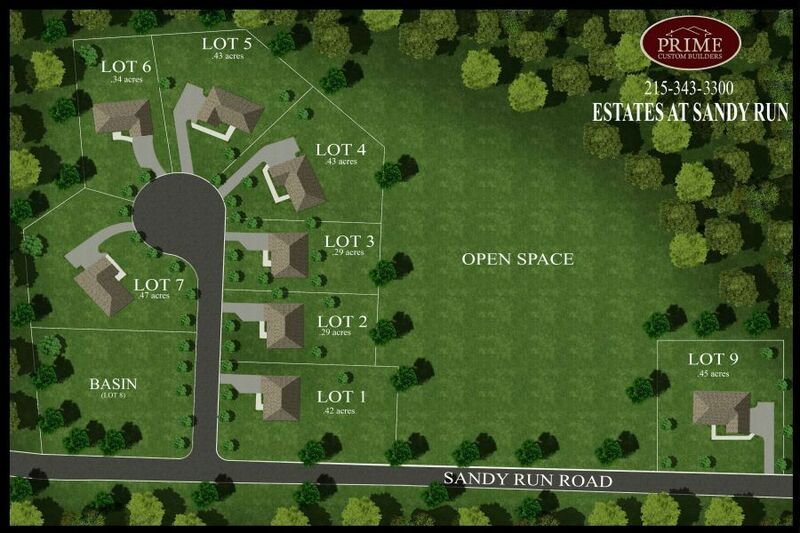 Quick Delivery_ Prime Custom Builders presents the Solebury Model as a Quick Delivery- Move in today! 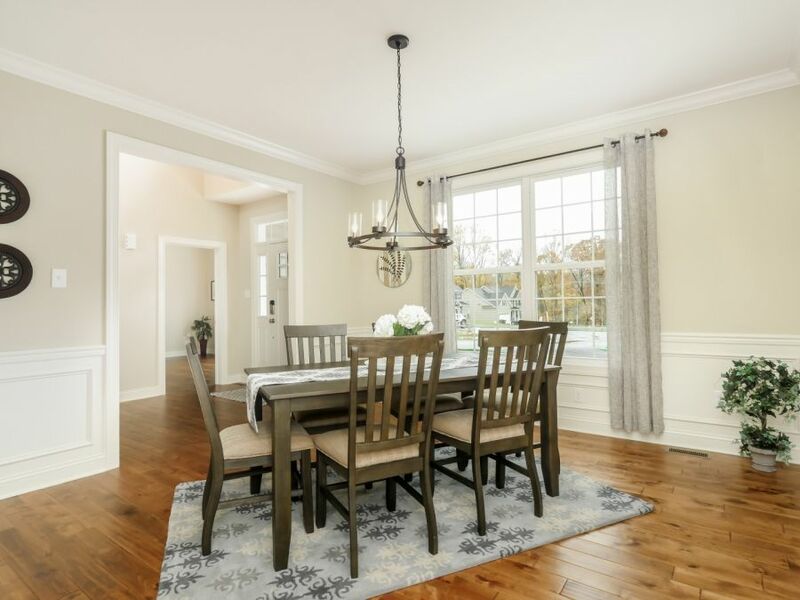 With distinct craftmanship and quality materials this smart home will exceed your expectations. 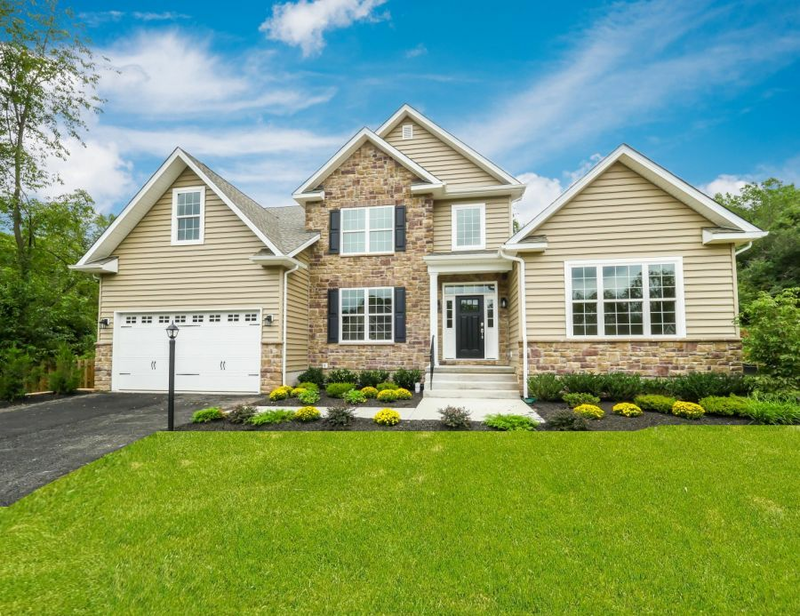 With a beautiful stone front donning carriage style garage doors and classic black shutters this four-bedroom custom home boasts in-demand features throughout, a first-floor owners suite and a spacious twenty-six hundred square feet of living space with the option to expand. 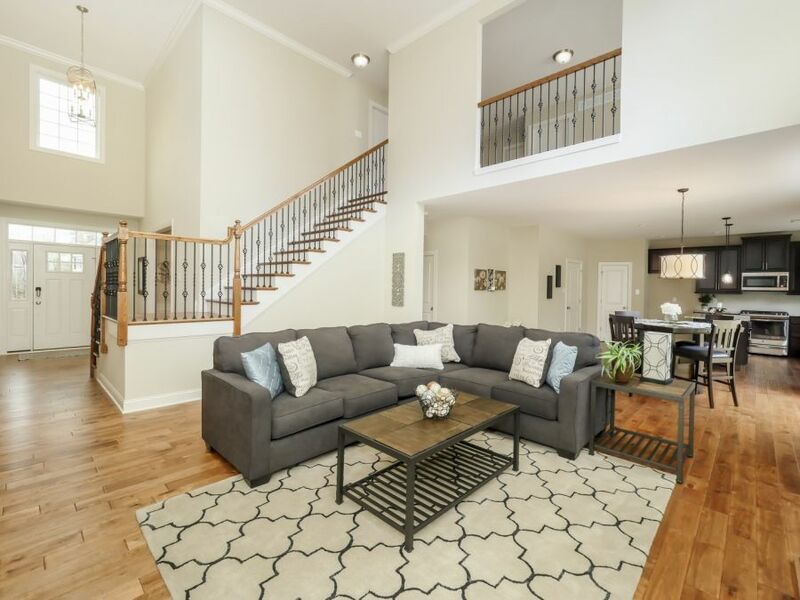 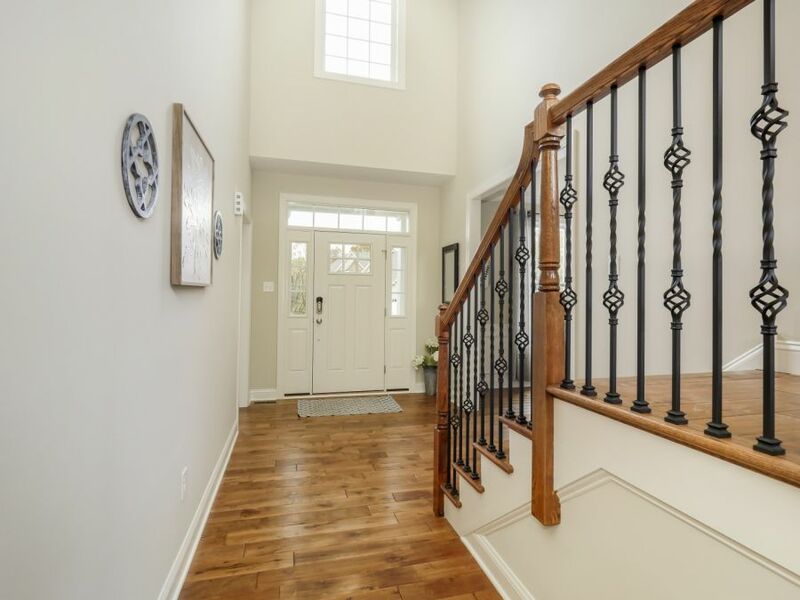 Finely crafted wood floors and a bright ambiance welcome you inside through the two-story foyer. 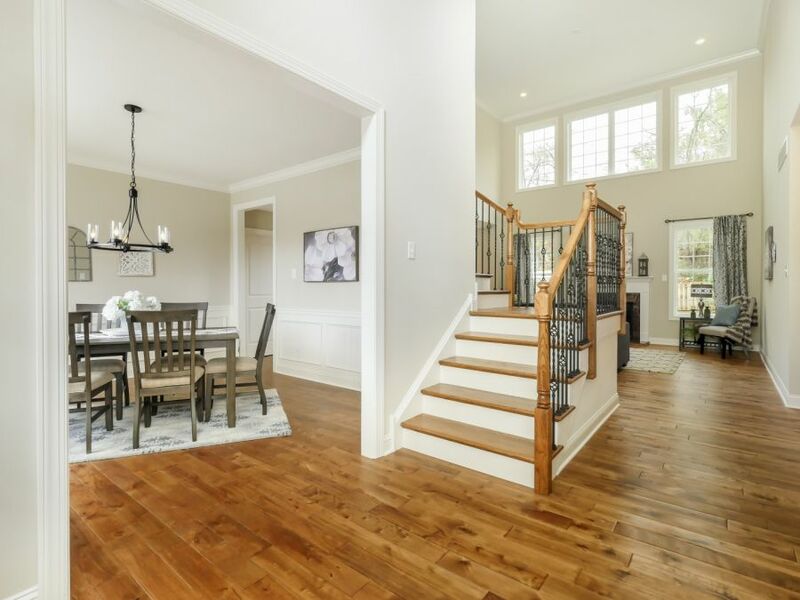 Notice the elegant banister and wrought iron spindles of the turned staircase and the upgraded trim package that includes wide base boards, crown molding and traditional shadowbox wainscoting in the sizeable dining room. 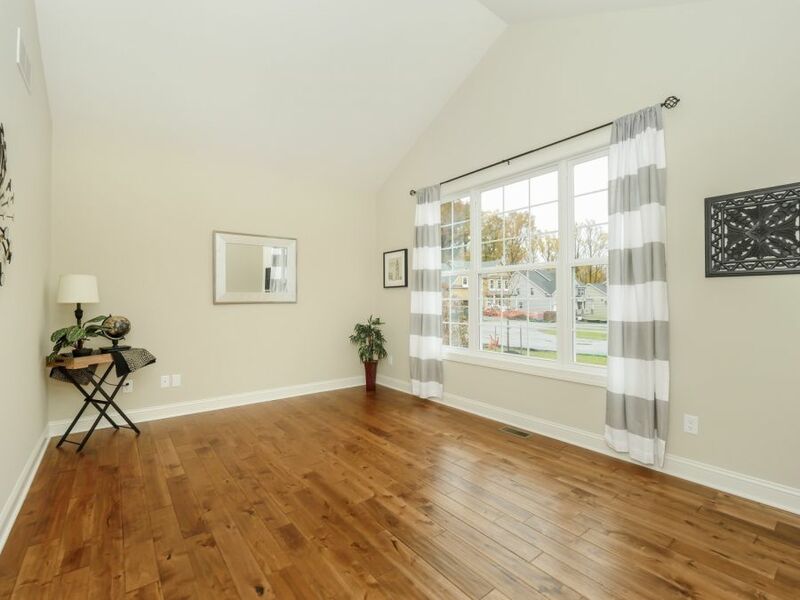 With a pitched ceiling and bank of windows this front room could serve as a guest room, office, den, or even playroom if you choose. 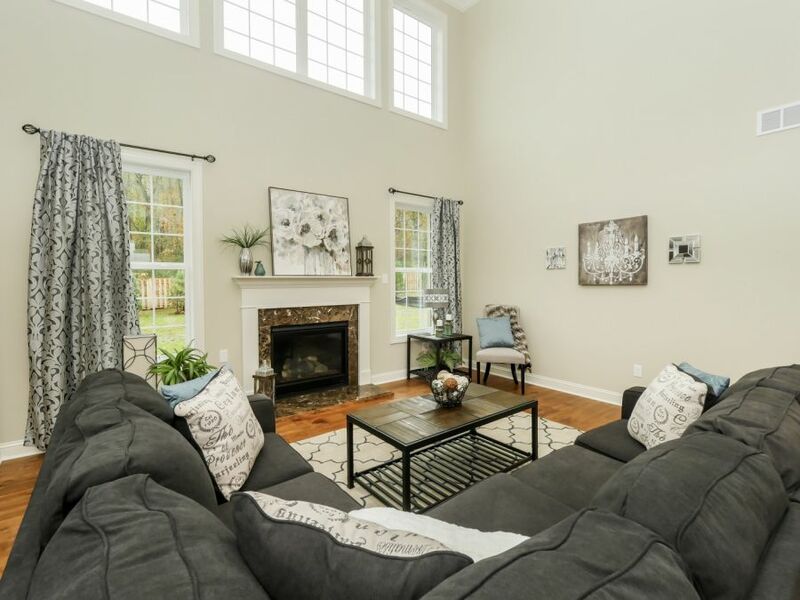 In the great room a beautiful marble fireplace is framed with an artisan mantle and surrounded by windows so you can enjoy the seasonal views of your backyard. 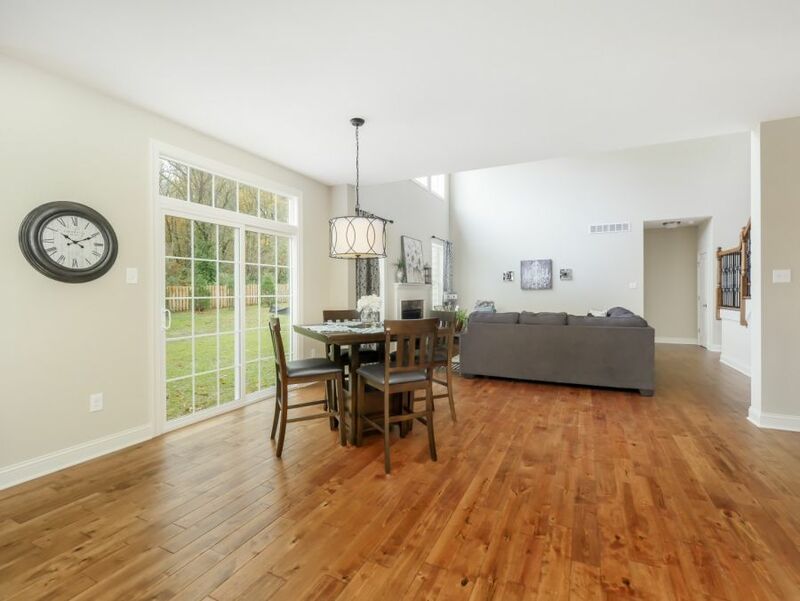 This home is built with energy efficiency in mind, so you have maximum comfort at minimal energy costs. 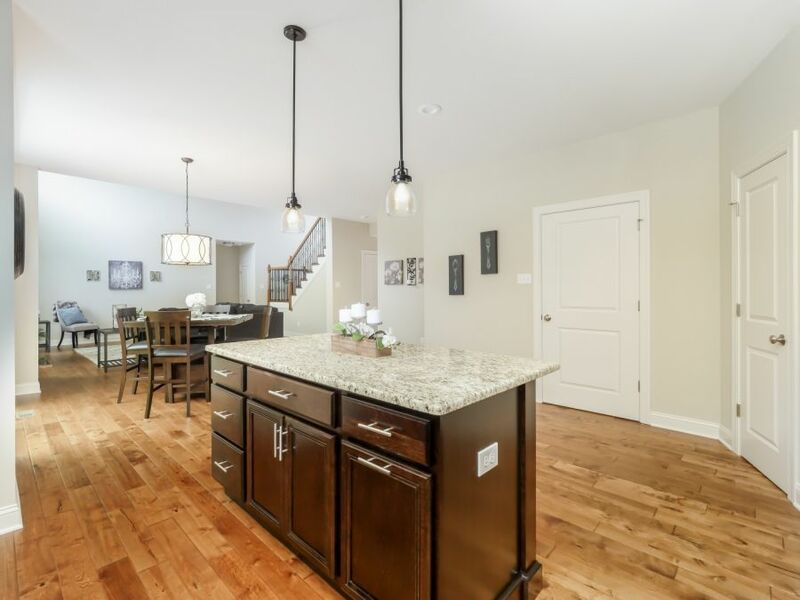 Flowing effortlessly into the gourmet kitchen the open floor plan is ideal for entertaining and offers an easiness to today's daily lifestyle. 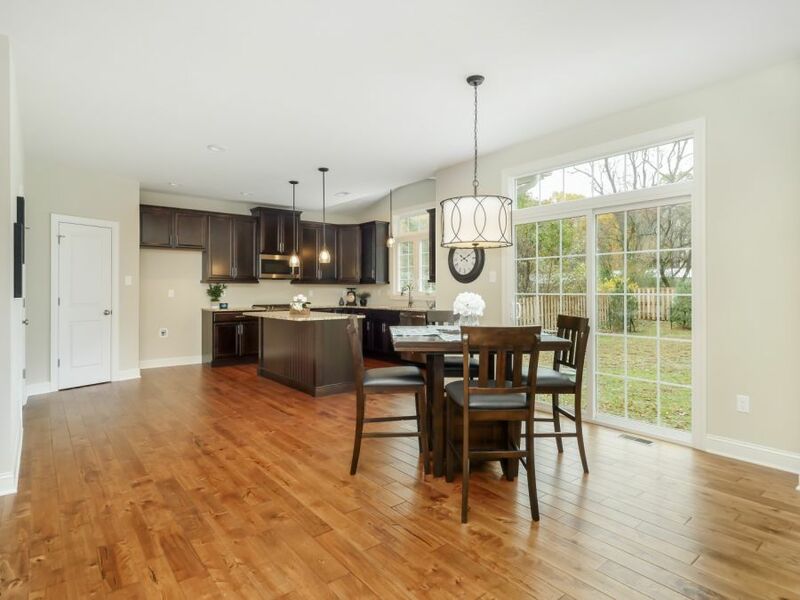 Sliding glass doors with a six-foot transom above fill the casual dining area with natural light as it adjoins the chef's workspace. 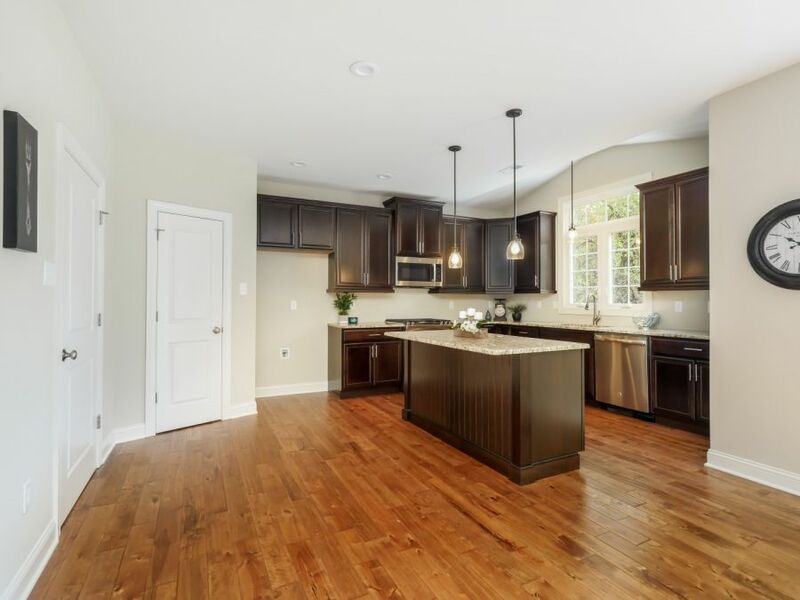 The kitchen includes gorgeous Kraftmaid cabinetry, luminous granite countertops, stainless steel undermount sink, GE appliances including a gas range and a huge walk-in pantry complete the package. 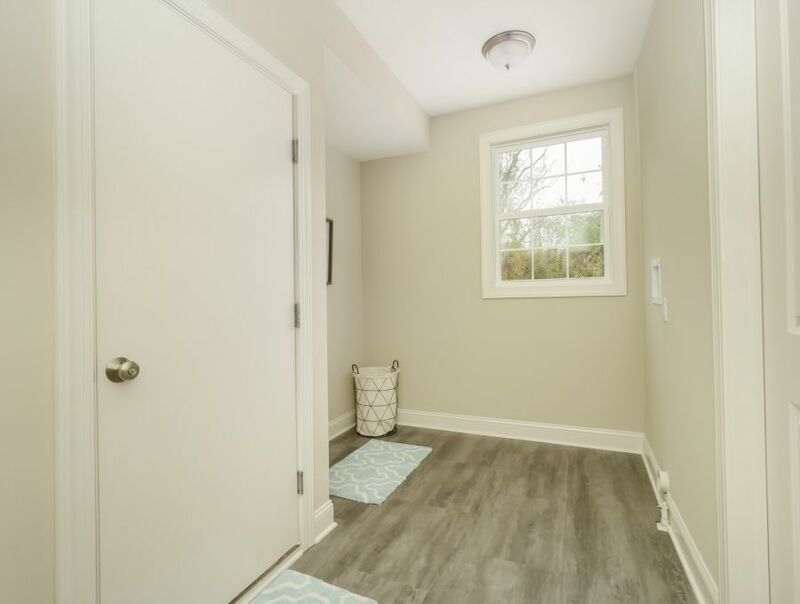 A mudroom with laundry lends access to the two-car garage. 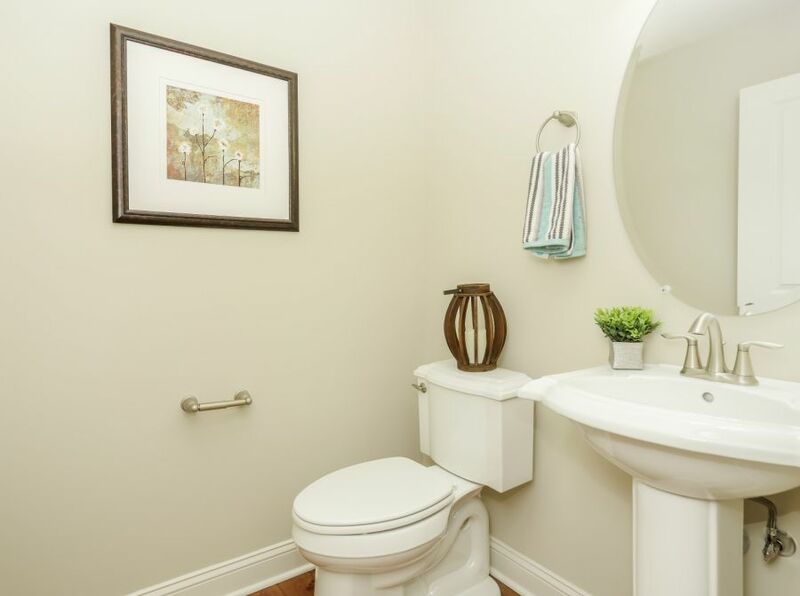 A 1st floor powder room is located between the dining room & kitchen. 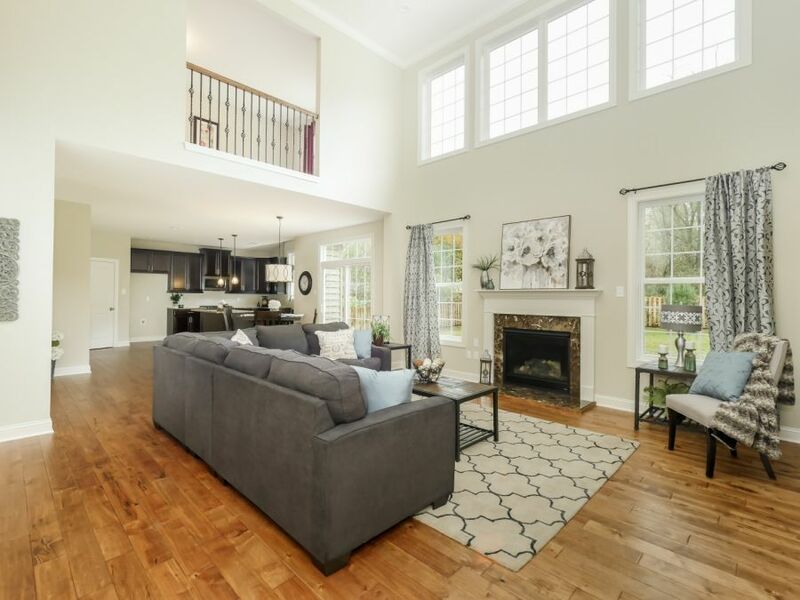 The ceilings on the first floor are a luxurious nine feet tall, a two story great room and all the doors are double panel for added depth and elegance. 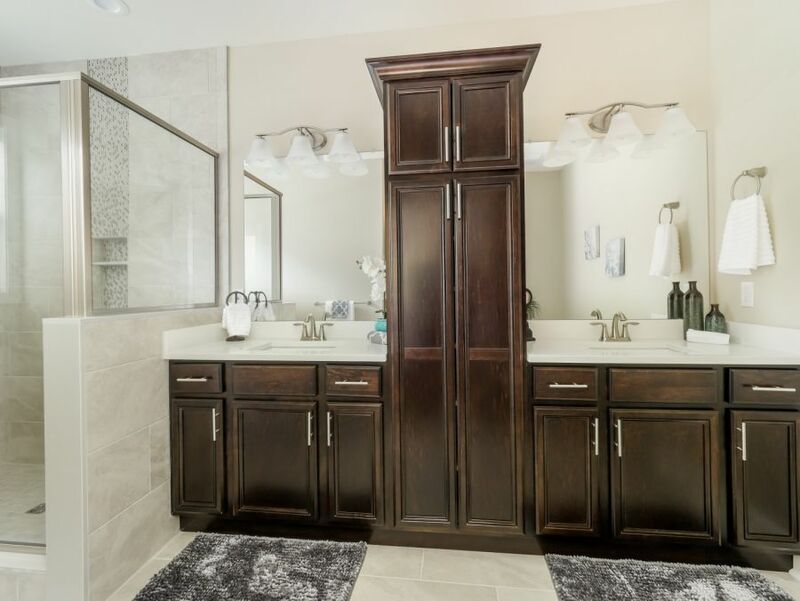 The impressive 1st floor owners suite provides lavish daily rejuvenation. 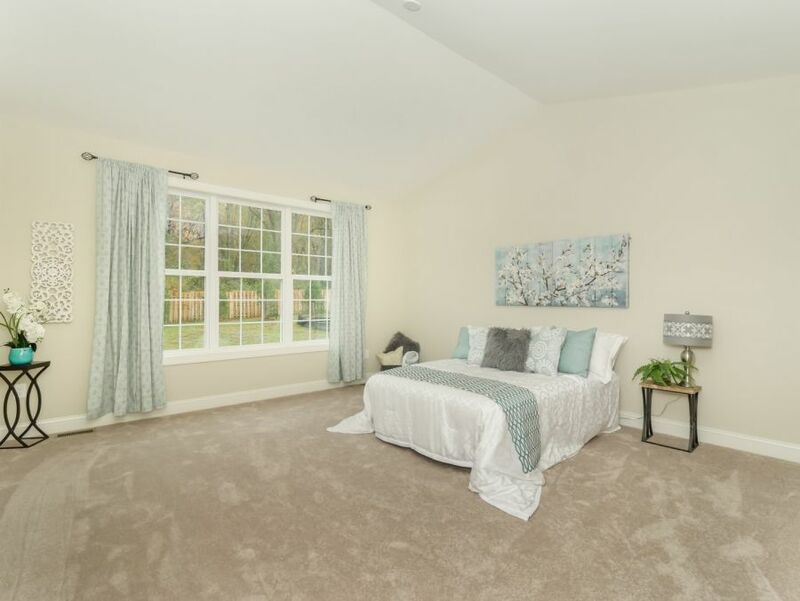 With the added spaciousness of a pitched ceiling the bedroom gives you framed views of the backyard and a deep walk-in closet. 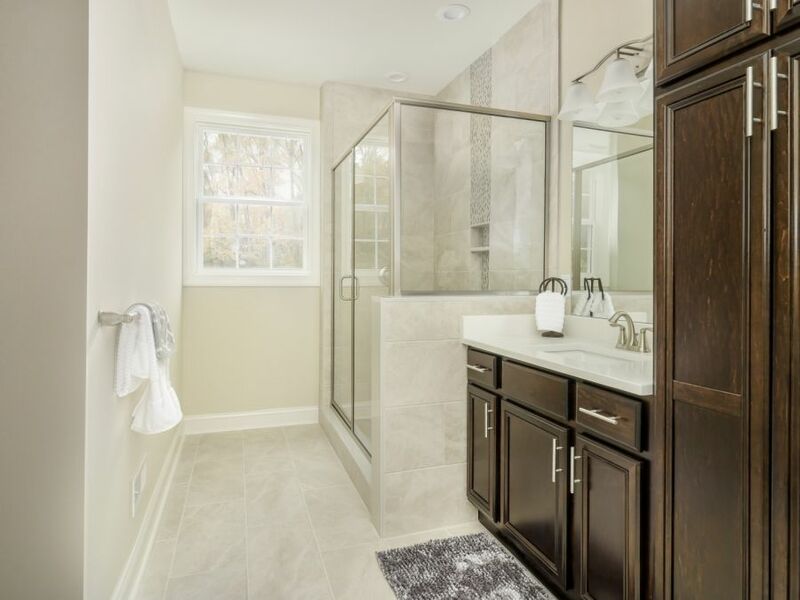 With modern prestige the dueling vanities in the en-suite bath offer plenty of organization space while an oversized glass enclosed shower enclosure exhibits striking tile work. 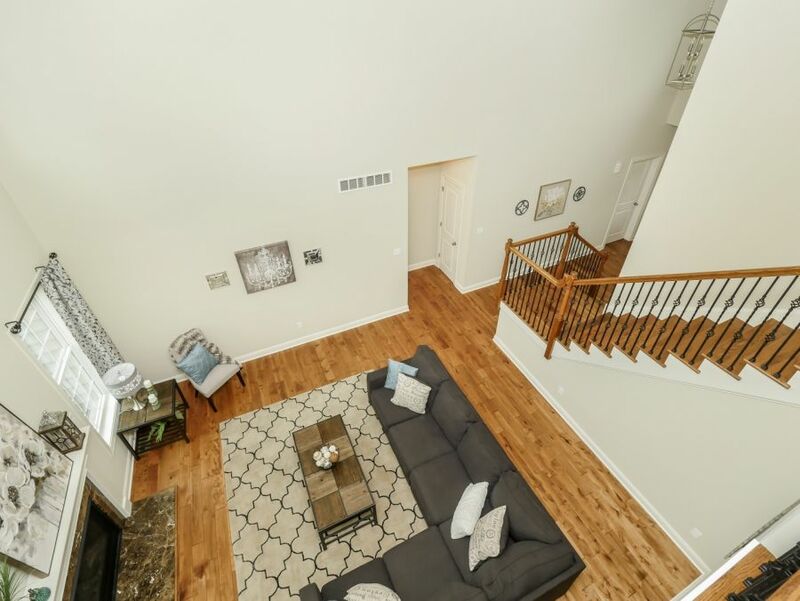 A massive loft area with an abundance of natural light overlooks the great room and has a rail that matches the banister below. 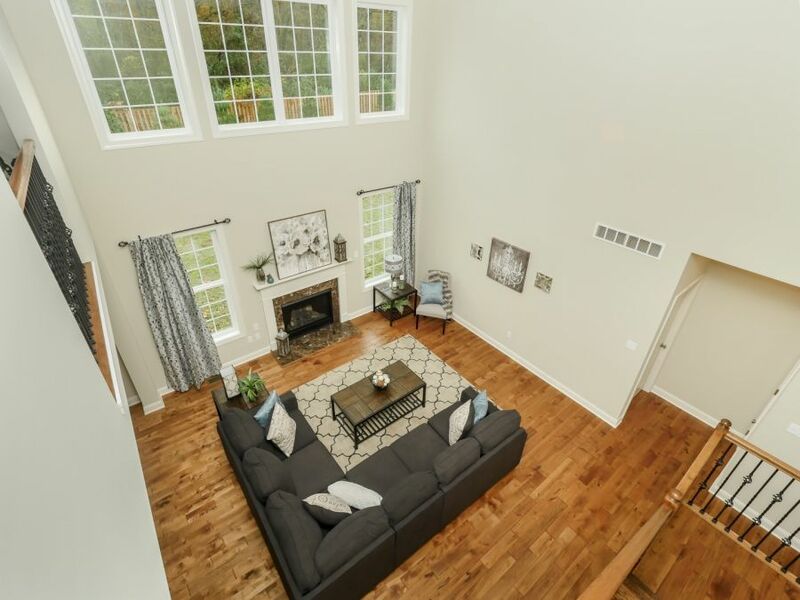 9 foot ceilings in the basement.